Floral cascade of ivory roses, white and green hydrangea flowers and buds. 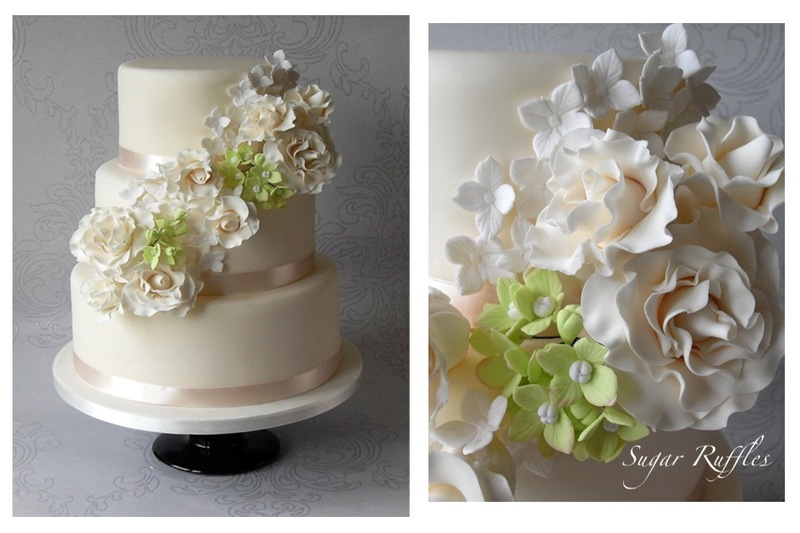 Hydrangeas are my all time favorite flower and this cake is just stunning!!!! Thank you! I love hydrangeas too! Your work is absolutely amazing!! I couldn't make a flower like that if my life depended on it!! Great job! !